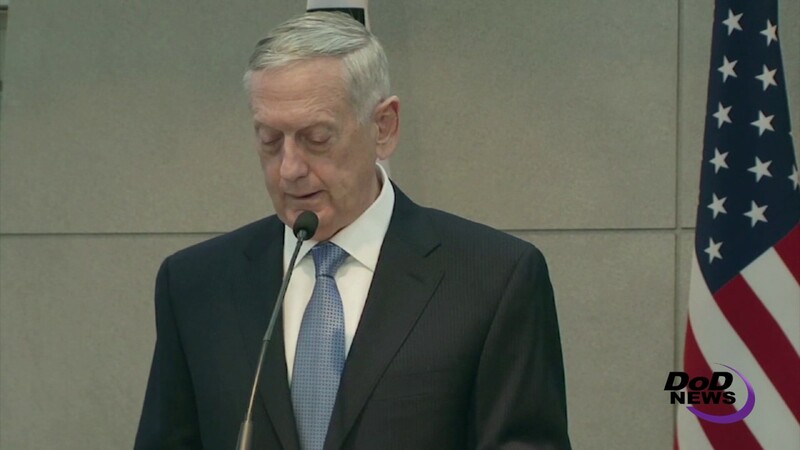 The United States will defeat any attack on the homeland or on its allies and will meet any use of nuclear weapons with an effective and overwhelming response, Defense Secretary Jim Mattis said today in Seoul. Mattis, on his first official visit as defense secretary to South Korea and Japan, spoke in advance of a meeting today with South Korean Defense Minister Han Min-koo. In Seoul, the two leaders stood on a stage at separate podiums against a backdrop of U.S. and South Korean national flags. Mattis’s remarks were translated consecutively. “North Korea continues to launch missiles, develop a nuclear weapons program and engage in threatening rhetoric and behavior,” the secretary said. “We stand with our peace-loving Republic of Korea ally to maintain stability on the peninsula and in the region. America's commitments to defending our allies and to upholding our extended deterrence guarantees remain iron clad,” he added. North Korea’s threatening rhetoric and destabilizing behavior has prompted the United States and Korea to deploy terminal high-altitude area defense anti-ballistic missile systems, which Mattis called “highly effective,” to South Korea to protect its people and the 28,500 U.S. troops there who stand beside the U.S. allies. According to the Missile Defense Agency’s website, THAAD is an element of the Ballistic Missile Defense System that can intercept and destroy ballistic missiles inside or outside earth’s atmosphere during the final, or terminal, phase of flight. 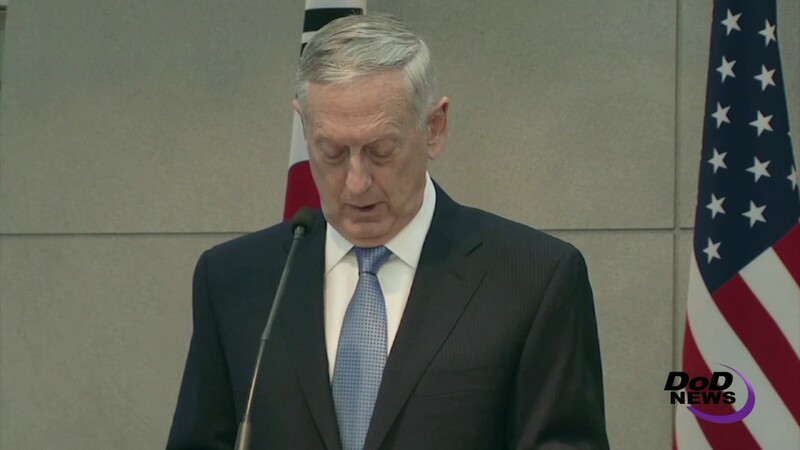 Mattis said the United States and South Korea also are committed to expanding trilateral venues of cooperation with Japan. Yesterday and this morning Mattis met with South Korea’s acting president and prime minister, Hwang Kyo-ahn, National Security Advisor Kim Kwan-jin and Minister of Foreign Affairs Yun Byung-se. The United States stands by its commitments and with its allies, he added. Mattis is on a four-day trip to meet with defense leaders in Japan and South Korea. The trip underscores the U.S. commitment to its enduring alliances with the two nations and strengthens cooperation among all three.